Bitcoin is bouncing off a short-term area of interest visible on the 1-hour time frame. This could keep it on track towards testing the next upside targets marked by the Fibonacci extension tool. Price is closing in on the 38.2% level at the $4,000 major psychological mark, which might serve as a take-profit point again. The 50% level lines up with the swing high around $4,040 that might also lead cautious buyers to book profits. Stronger bullish momentum could take price up to the 61.8% Fib at $4,062.80 or the 78.6% level at $4,100. The full extension is located at $4,168.70. The 100 SMA is above the longer-term 200 SMA for now to indicate that the path of least resistance is to the upside. However, the gap between the indicators has narrowed enough to signal weaker bullish momentum and a potential bearish crossover. In that case, price might dip below the area of interest again and head back to the lows at $3,770. RSI appears to be heading south even without hitting the overbought zone, indicating that sellers are eager to return. Stochastic is also heading lower to indicate that bears have the upper hand and could take bitcoin further south, especially since the oscillator has plenty of ground to cover before reaching oversold levels. 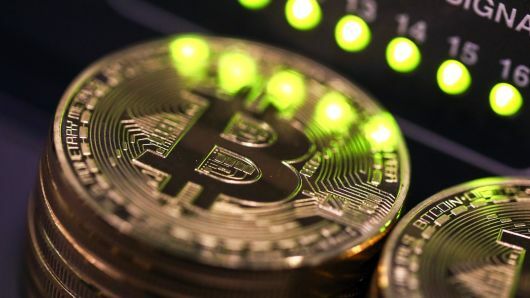 Bitcoin traders appear to be holding out for major catalysts that could confirm that the bull run isn’t over, as price would likely to clear several upside barriers before drawing more buying interest. For now, the focus seems to be on the drop in volumes that is weighing on volatility. According to CoinMetrics.io, the decline in bitcoin transaction count has coincided with the end of VeriBlock’s testnet phase. This startup accounts for 25-40% of bitcoin transactions, which is a pretty hefty amount for its size. Testing ended on March 4 and the daily transaction count dropped 21% then.